HUGE NEWS! 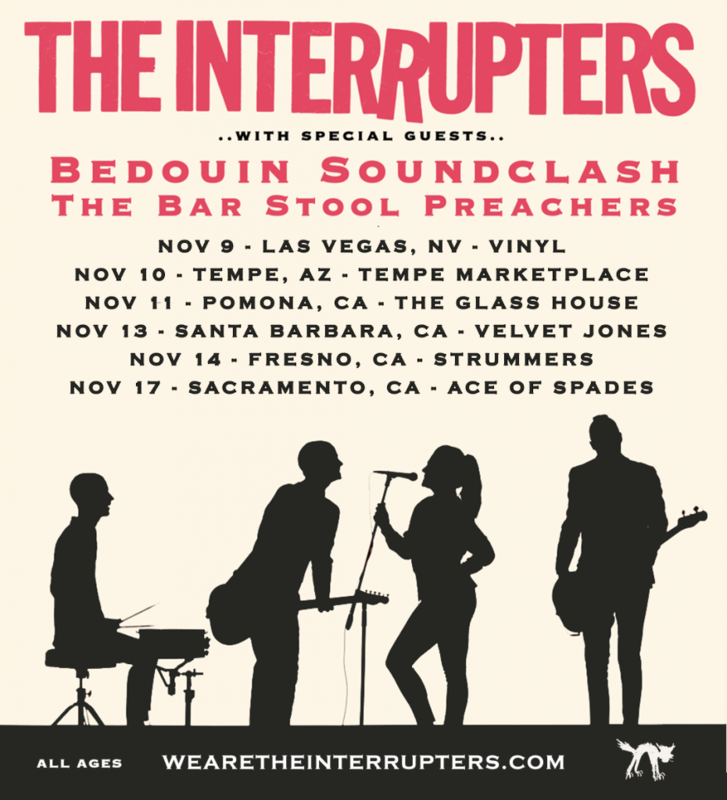 THE BAR STOOL PREACHERS will be hitting the west coast with THE INTERRUPTERS and BEDOUIN SOUNDCLASH in November! Get excited!! Check out the tour dates below, and don’t miss this great bill when it hits a city near you!